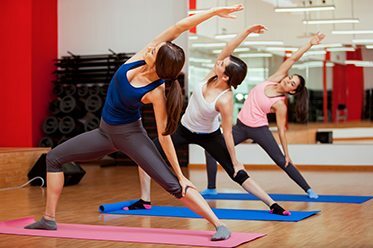 Whether you’re an athlete or a beginner at fitness beginner in Harrisonburg, knowing how to properly stretch and warm up your muscles is very important. Valley Fitness proudly offers our loyal gym members professional Pilates instruction in a small group setting. Our professional staff will teach beginners about proper muscle movement and how to avoid injury in daily life activities or at the gym by correcting any improper muscle movement patterns. On top of all that, our Pilates classes offer members a relaxing, fun, and invigorating workout. Feel comfortable and remember to warm up your muscles before hitting the weights and gym machines. Are you looking for your new gym home? Sign up now for our Valley Fitness 3 day free pass. We know you’ll love it here!